Former prime minister and presidential hopeful Ahmed Shafiq has announced that he will not run in Egypt's upcoming presidential elections, claiming that the polls will witness "unethical behaviour." In a statement released on Thursday, Shafiq also stressed that he will support Egypt's army chief Abdel El-Fattah El-Sisi if he should run. The defence minister is widely expected to win the elections should he declare his candidacy. Shafiq's statement clarified that he didn't have an official presidential campaign and expressed outrage over the recent use of his name and photos suggesting that he did. 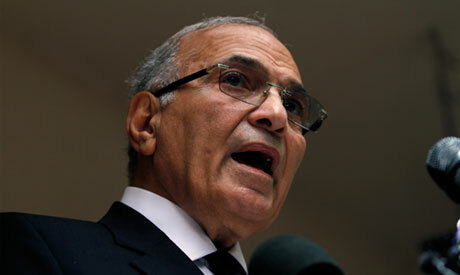 Last week Shafiq came under fire for a leaked audio clip in which he criticised El-Sisi's anticipated presidential bid. Shafiq distanced himself from the recording, saying that his comments had been taken out of context and that he had been speaking when speculation first emerged about the field marshal's candidacy. In the recording, Shafiq, who has been residing in the United Arab Emirates following his defeat in the 2012 polls, described the military's backing of El-Sisi's candidacy as ignorant and amateurish, and criticised El-Sisi for announcing that he would only run in the elections as per a mandate from the public and the army.